Portillo’s is Home to America’s favorite Chicago-style hot dogs, Italian beef, burgers, salads, and chocolate cake. 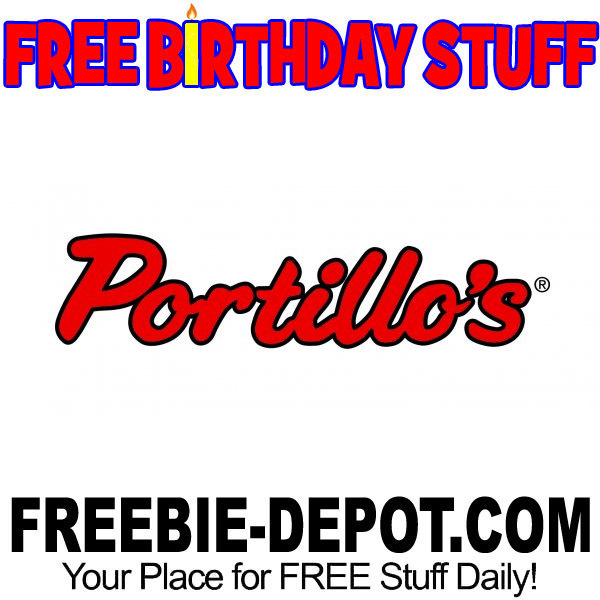 If you registerfor Portillo’s Birthday Club you will get a FREE Slice of their famous Chocolate Cake for your Birthday! You can register yourself PLUS up to 3 children! One week before your birthday and on your birthday, you’ll receive an email and a pre-loaded offer in your account. Redeem the offer by placing an online order and adding a piece of cake at checkout, or show your offer code at checkout inside your nearest Portillo’s. Thanks for the sign up for the slice of cake on my birthday! I have had my grandson signed up for several years and this year did not receive the voucher. His birthday is tomorrow 7-28-09 and it goes to my email below. Not this year tho? It’s become a tradition for us to take him there, disappointed it didn’t come. I also filled out the app for my birthday and did not receive anything ! Why is that?! My birthday is Saturday!! You will need to contact the restaurant directly. Sorry, we are unable to assist you here.